The European Food Information Resource Network (EuroFIR) aims to develop food composition data platform in Europe including CEE countries. The Institute for Medical Research (IMR), Belgrade, is an active partner in EuroFIR (2006), EuroFIR-Nexus www.eurofir.net (2011) and EFSA project “Updated food composition database for nutrient intake” (2012). The objective was to create the 1st online Serbian Food composition databases (FCDB) harmonized with EuroFIR standards. The IMR developed and used web based Food Comp Data Management (FCDM) software, harmonized with EuroFIR standards, to create FCDB. The first online version of Serbian FCDB was compiled and launched in 2007 www.serbianfood.info, becoming a part of EuroFIR online data base platform in Europe. 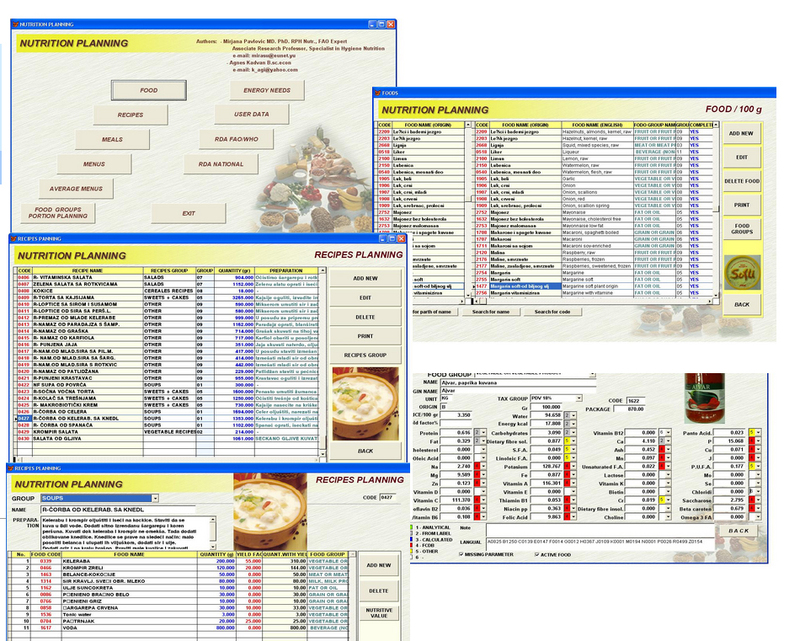 All foods in this database (1143) were indexed using the LanguaL Thesaurus with FCDM software (2008). During 2012, within EFSA project, FoodEx2 system was adjoined to FCDM software and all foods from Serbian FCDB were mapped with recommended EFSA code set. To date Serbian FCDB has 1046 foods (characterised with up to 68 nutrients) and 116 composite dishes typical for Serbian population collected through national dietary intake surveys from 2006-2012. Development of Serbian FCDB and FCDM software as its tool is essential for future nutritional research in Serbia. Its application in projects, research and practice will facilitates improvement of nutrition and food quality in Serbia to ensure better health of the population. Dissemination and implementation (D&I) research seeks to understand how to best apply scientific advances in the real world, by focusing on pushing the evidence-based knowledge base out into routine use. Besides scientific research, CENM has a specific role to “translate” nutrition science in a way that can be used by industry, policy makers and practitioners to deliver real improvements to human health. Therefore knowledge exchange and transfer is an explicit part of the CENM mission. 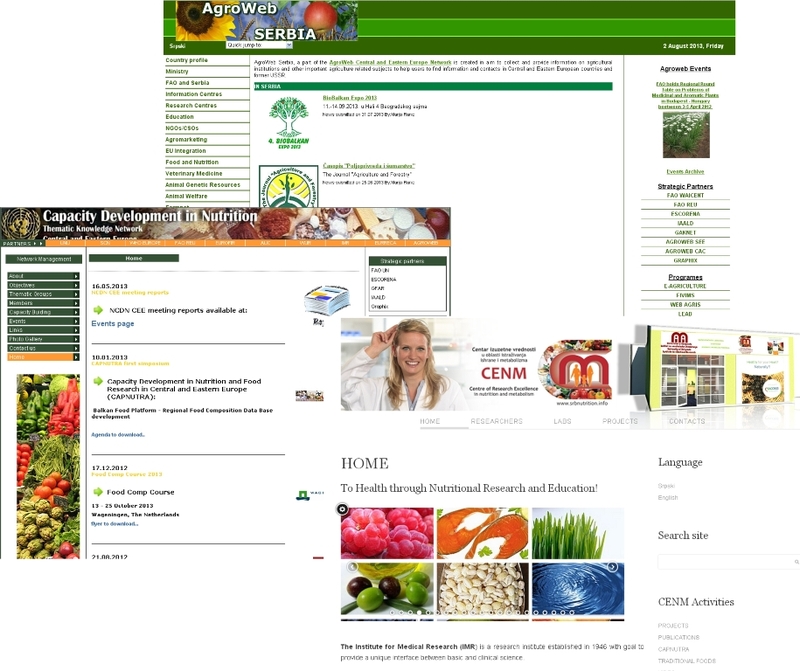 CENM web portal, and also CAPNUTRA and Agroweb Serbia provide an easy access to the diverse food and nutrition information in order to improve capacity building in nutrition. The scope of information dissemination via mentioned web portals provide as well information about training possibilities, educational programs and links to calendars for upcoming food and nutrition-related events and conferences. 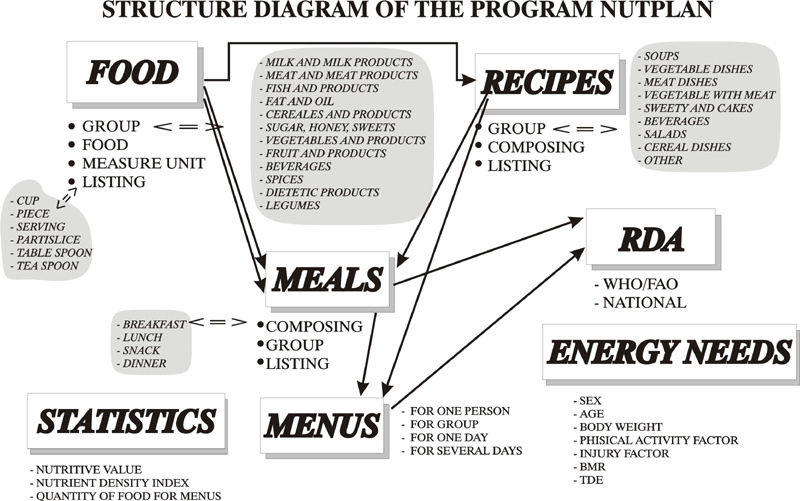 List of links helps nutrition professionals to locate information and materials for specific nutrition topics, opening of wider communication and to moving from one-way information streams to geometric engagements.